Awards Reception: Sunday July 22, 1:30 - 3:30pm with curator Peggy Hoffman. Not a member - Join us today! Here are a few images form our former location in the Towson Town Center. Enjoy! Firehouse Arts & Music and Towson Arts Collective present a Night of Live Art, Music and More! Over one hundred works of art are included in this retrospective exhibit that is a culmination of decardes of the creative process of artists, Jerry Dadds, Jerry Seaton, and Barry Woods Johnston. An outstanding printmaker in the woodcut medium, Jerry Dadds is a founder of the Eucalyptus Tree Studio in Baltimore, Maryland. He has created illustrations and designs for corporations, government agencies, institutions, advertising agencies, book covers, magazines, and calednars, and his presidential portraits appeared on 36 U.S. postage stamps. Barry Woods Johnston sculptures are acclaimed for their vitality and vision, as well as their elegant designs and masterful rendering. Few American sculptors have been honored with so many awards frm their peers. Jerry Seaton is an artist, illustrator, and musician. While the major of his works are plein air landscapes, his series of abstractions balanced on jazz are also featured in this retrospective exhibition. The public is invited to attend the Friday, October 2nd, 7pm showing of Jerel Jones' 2012 video biography of Baltimore Illustrator Jerry Dadds held during the 6-8pm New Members Welcome Monthly Happy Hour. 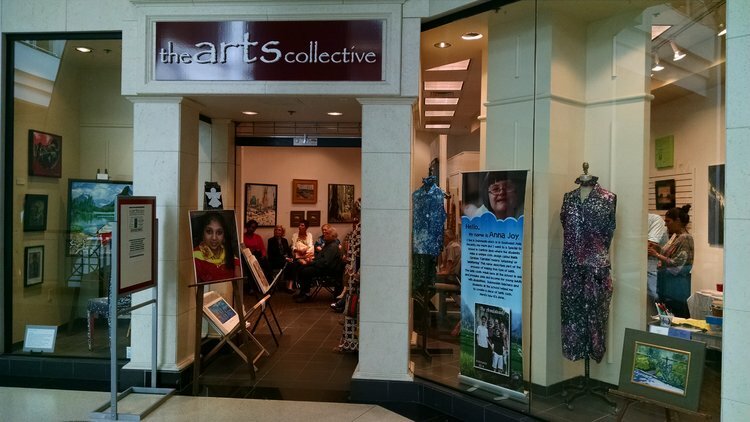 Towson Arts Collective's new board members will host this event. On Saturday, October 10th, Barry Woods Johnston will demonstrate portrait sculpture from 2-5pm, followed by a 6-8pm exhibition closing reception that is free and open to all at Towson Arts Collective's Ellene Brit Christiansen Arts Center. 40 W. Chesapeake Avenue, Towson, MD, 21093. Free parking is available on the street after 6pm. Thank you for signing up for the Towson Arts Collective Newsletter.